Online Title Loans No Inspection? An online title loans, also known as a car title loan or an auto-title loan, is a secured loan that uses the equity of your vehicle as collateral. Because online loans are secured, they typically have lower interest rates and higher loan amounts than that of an unsecured direct lender payday loan. How Does the Title Loan Process Work? Once you complete our request form, it will be examined by our large network of loan lenders. 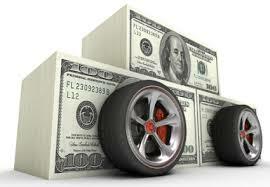 A lender will then extend a title loan offer to you based on the value of your vehicle. Next, the lender will electronically send loan documents to you for your review and signature. The lender will also set up a time to meet with you in person and collect your original title. More on the basics here on what you will need to complete your loan request. You can also check out the benefits of how such a loan can help you. Will GAD Capital Issue My Title Loan? No, a title lender will issue your loan. GAD Capital isn’t a title lender. Our goal is to pair lenders with potential borrowers. The GAD Capital loan request form screens borrowers to make sure that they fit the requirements set forth by our vast network of lenders. The terms of your loan such as loan amount, the value of your vehicle, interest rate, and repayment schedule are solely decided upon by you and your lender. GAD Capital does not negotiate those terms. What are the Qualifications for a this Loan? Will Bad Credit Disqualify Me? Having a poor credit score will not hurt your chances of being approved for a loan even online. Lenders look at the value of your vehicle and your income to make sure that you can repay the loan instead of your credit. How Much Will My Title Loan Be? How Much Will My Loan Be? Your title loan amount is based on the value of your car. Will I Lose My Vehicle During The Loan? No. Although you must turn over the original title to the lender, you will be able to drive your vehicle for the duration of the loan. Since GAD Capital is not your payday loan lender we do not enforce payment on your loan. If you do not repay your loan on the due date then your loan lender will have the right to impose penalties and interest, or even take possession of your vehicle. You will need to discuss the situation and possible refinancing with your car-title loan lender. Using GAD Capital to find a loan will save you time and stress. The entire process can be done electronically and is really fast. Remember that because these online title loans are secured using your car as collateral you are more likely to get a larger loan amount for smaller fees than you would with an unsecured payday loan. GAD Capital can connect you with one of our many title loan lenders who can get you the most money at the best terms.